Axiom Condos Phase 2 is a new condo development by Greenpark currently under construction at 424 Adelaide Street East, Toronto. 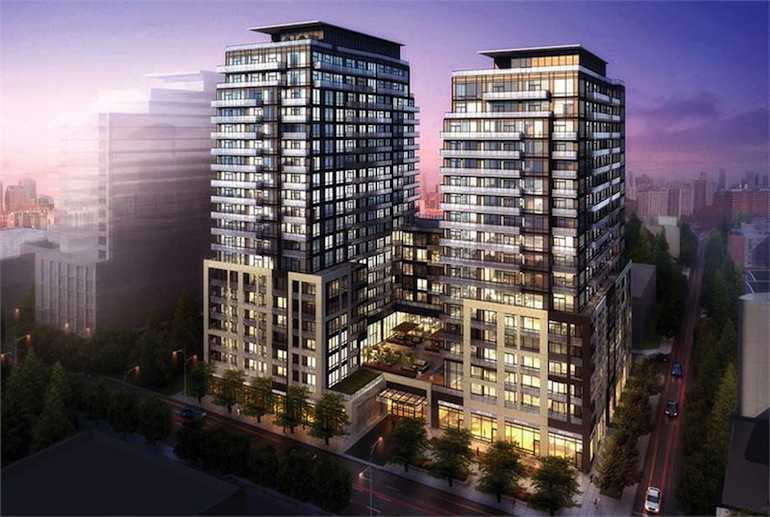 Axiom Condos Phase 2 has a total of 232 units, sizes range from 441 to 944 square feet. Located in Downtown Toronto at Adelaide and Ontario, Axiom will redefine one of Toronto’s most dynamic neighbourhoods. AXIOM brings together a thoughtful combination of intelligently designed Studio, One and Two Bedroom Suites, a wide array of hotel inspired amenities and convenient retail at street level, for an unparalleled living and/or investment opportunity. The Axiom condos are located within walking distance from important areas, such as the Financial District, St. Lawrence Market, Cokrtown Common, Sugar Beach, and the Distillery District, to name just a few. The walkability score is 98 and the area has also received a transit score of 100 as there is the Yonge subway line as well as the King and Queen St. Streetcars. For those who prefer cycling instead of walking or riding, the Axiom condos are a perfect option as the bike score is that of 85. There is in fact a dedicated bike lane on Sherbourne. From 441 sq. ft. To 944 sq. ft.